When you’re a smaller, family owned company like ours, people tend to expect a more limited selection of products. Needless to say, we’ve pleasantly surprised more than a few customers when they discover just how huge our selection is. Along with our large breadth of high quality products, we are one of the only companies to offer so many original designs — created exclusively by us and not to be found anywhere else. 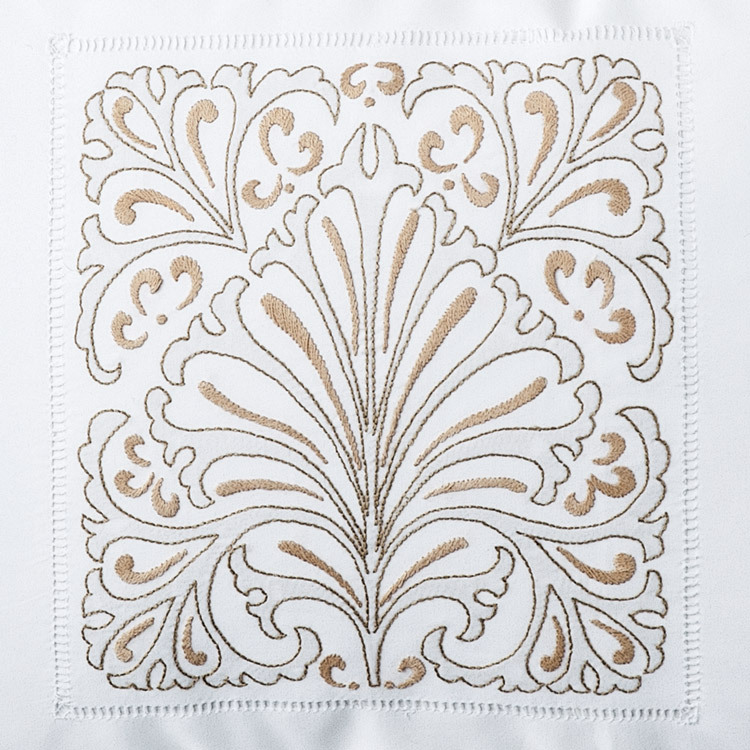 Ancona features intricate embroidery surrounded by hemstitching on 600 thread count sateen. We never stop searching the world for the finest raw materials, inspiration for designs and the best artisans to bring our visions to life. Women, men, classic or contemporary, we have the right experience for everyone, It’s just a matter of finding it. Choose from various thread counts to a multitude of fabrics like percale, sateen and fine linen, all in different styles that range from heritage-inspired to modern retro. 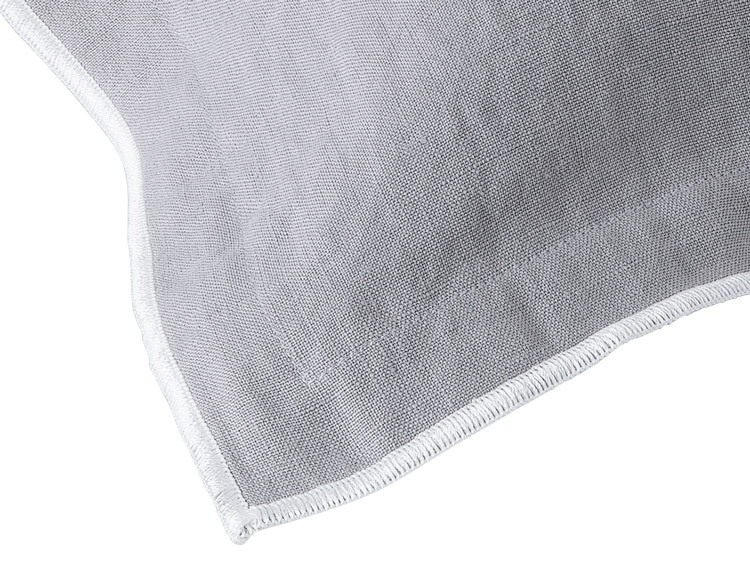 Brooklyn, our Italian pre-washed, easy care linen sheets. We are obsessed with beauty. 365 days a year. 24 hours a day. We look to discover and produce beauty and then improve it to make it a functional piece of art. The next day we get up and do it again. This is not a job. It’s the way we live. It’s our passion. We produce affordable luxury and we guarantee it. Since we’re not big business and don’t mass manufacture our products, customers often ask us how we’re able to offer so much variety. After all, it’s apparent once they see and feel our stuff, just how much time and skill goes into everything we make. The answer is simple. Making people happy is our business and it’s how we’ve been doing business for 45 plus years. And because everyone is different we strive to have the perfect something for everyone, no matter how much time, energy or traveling it takes. This is another reason why our customers are generational and become members of our extended Schweitzer Linen family — a select club for connoisseurs of quality, beauty and value. Schweitzer works with Interior Designers and individual customers on custom linens and is regularly featured in the best Shelter Magazines. Even with all the products and designs to choose from, sometimes a customer still can’t find what they want. Or they have something very specific in mind. While most companies would point to their inventory and try to convince you what you really want is already there, we would rather listen to our customers and give them what they want, not what we think they want. 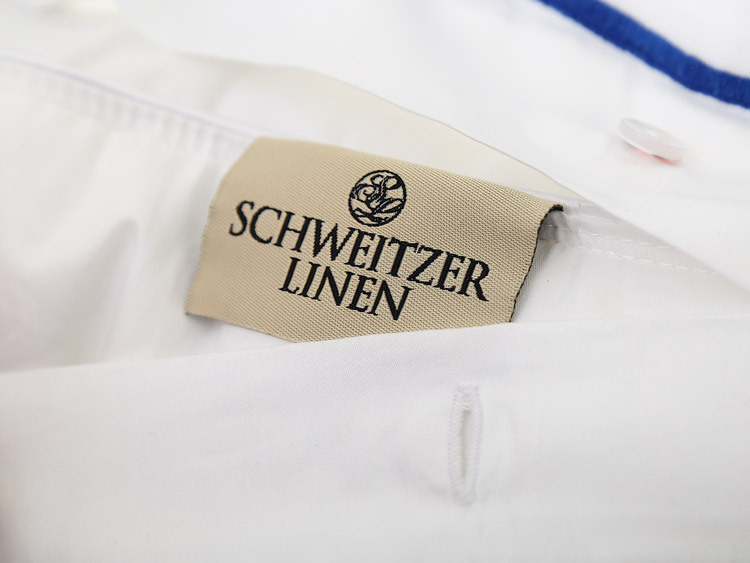 We refuse to leave a customer unsatisfied and that’s why we made the decision when we started Schweitzer Linen to be a vertically integrated company, able to adapt to all your needs. Specifically, being vertically integrated means that from the start to the finish of making a product (supply to production), we can truly control all aspects of our business to better serve our customers. Not only does that allow us to amass an assortment as large as we want for you to choose from, we are better able to adapt to specific customer requests. Still can’t find anything on our site? Looking for something really particular? Since we do it all and control the pricing, we can make it happen without having to create products that are unreasonably priced. From the highest quality fabrics and thread counts we use to the one-of-a-kind patterns and exclusive designs, every step is in our control. That means if we want to do it, we do it. And if our customers ask for it and its within our possibilities, you better believe we’re doing it. We’ll never turn down a customer’s request if we can create something that will move them and improve their life in some way. 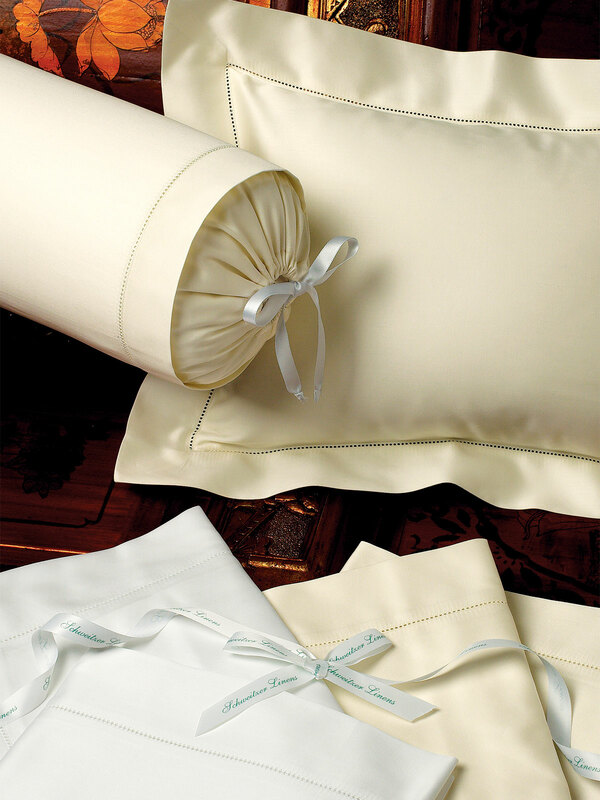 Our 1000 thread count cotton sateen “Splendour”. With a massive selection, authentically original styles and the vertical integration to customize personal experiences that are the very best they can be, it should come as no surprise that our products appeal to a wide span of very diverse customers — all with different aesthetics, needs and lifestyles. The one thing they do have in common is that in their homes, in their bathrooms or on the dining room table, is a product that always delivers and will never disappoint.